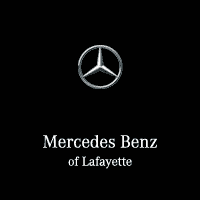 At Mercedes-Benz of Lafayette, we are welcoming the new 2020 Mercedes-Benz GLE to our dealership in Lafayette, LA. This quality model boasts some truly fine appointments inside and out and offers excellent driving performance. With well thought-out safety features, this new SUV crossover is positioned to be a favorite in the Mercedes-Benz lineup, and will be available for purchase this year. The 2020 model is equipped with the Mercedes-Benz User Experience (MBUX), an AI interface that learns the preferences of the driver and adapts accordingly. Touchscreen capability, navigation, and voice control featuring “Hey, Mercedes”, are other modern technologies offered by this SUV to make the driving experience seamless, easy, and enjoyable. An elegant appearance is one of many things to like about this Mercedes-Benz vehicle. With large wheel sizes, gracefully molded surfaces, and wide-beam LED lights, the car blends form with function easily. SUV crossover models should be aesthetically pleasing, yet sturdy enough to perform off-road, and this model fits neatly into both categories, along with upholding the classic look that Mercedes is known for as a brand. This Mercedes SUV has a two turbocharged engines available. The 2.0-liter, 4-cylinder engine delivers 255 horsepower in the GLE 350. If you would like a little more get-up-and-go, try out the 362 horsepower 3.0-liter inline-6 engine, available on the GLE450. Aerodynamic features have been optimized to enhance performance, including a variety of different spoilers, cladding, and paneling. Not only do these details help improve handling and speed for the 4-cylinder engine, but they are also favorable for better gas mileage. Other performance enhancements include fully variable all-wheel-drive, adaptive cruise control, stop-and-go assist, and an all-new E-Active Body Control suspension paired exclusively with the GLE450’s 48-volt hybrid system. We’ll be happy to walk you through each of these features and describe what they do, and why they matter to the performance of the Mercedes-Benz GLE. The interior amenities in this vehicle include more space for the backseat passengers, making it a great family car. A third row seating option allows the SUV to expand, offering two extra seats. The heated front seats offer electric seat adjustment, and they have memory as well so that passengers can save their settings for future rides. Other perks include a suspension that allows the back end to be lowered for easier loading, and compartments to stow various items in the back of the vehicle. The 2020 Mercedes-Benz GLE boasts numerous active safety features, including blind spot assistance, braking assistance, steering assistance, and much more. The SUV model takes advantage of many technological advances in safety for your peace of mind—and better control of the vehicle. We’ll be sure to point out all the highlights this model has to offer when you come in to check it out in person. Feel free to contact us if you have any questions about this SUV crossover or any of the other new cars for sale that we have to offer in our current inventory. Contact us to learn more about the 2020 Mercedes-Benz GLE!